Don't panic the next time you pull an empty tub of butter from the fridge. If you have some heavy whipping cream, save yourself a trip to the grocery store and just make your own. When heavy cream is shaken violently for a long enough duration, it turns to butter—and if you're doing it by hand, it also feels like your arm turns to jello. 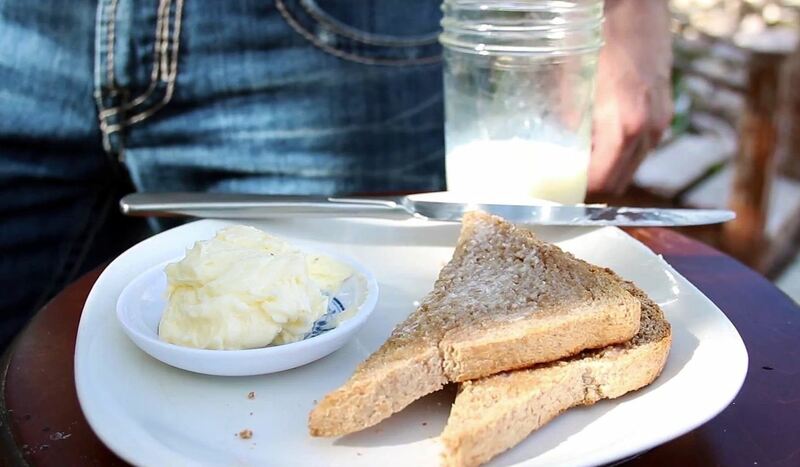 WARNING: Shaking cream into butter may result in an amazing workout. Use of video content is at own risk. 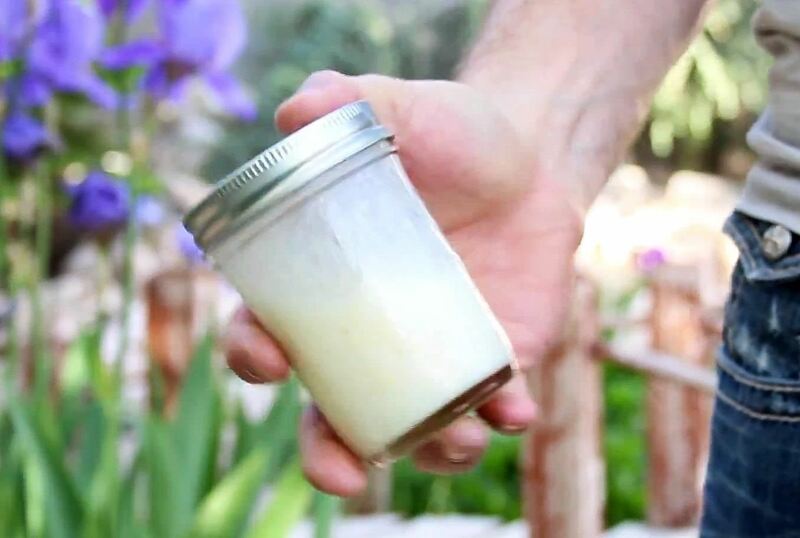 For this experiment, use heavy whipping cream and fill a mason jar about halfway with it. Shake hard for about 2 minutes until the liquid turns to a thick whipping cream. When the cream is so thick it won't shake anymore, feel free to take a 2 minute break. You'll need it. After letting the whipping cream sit for 2+ minutes, pick it up and shake violently again for another 1-2 minutes. It probably won't feel like anything is happening, but after a minute or two, you'll feel the cream break loose, and a bit of liquid start sloshing around. Then, all of a sudden—you'll have butter in an instant. Shake for about 30 seconds more, then open the container, pour off the "traditional" buttermilk, and you should be left with a nice ball of butter—with no chemicals or preservatives. Mix in a little salt and you have salted butter. If you don't want the workout, you can also use an electric mixer to make butter from heavy cream. Adding a marble to the jar helps to 'shake it up' a little quicker. We've used this as an activity for preschoolers and it makes it easier for them.